‘It’s just… I think… it runs so badly, you know’, says a student sitting a few rows behind me in my politics lecture. We have all been asked to vote on whether we are satisfied or not with the way democracy works in Australia, and close to three-quarters of the room voted for ‘not satisfied’. Our lecturer has asked a few raised hands in the theatre to explain why they voted the way they did. Australian democracy, most in the room say, is deeply flawed and in need of a drastic overhaul. It’s worth taking stock of exactly what our supposedly flawed democracy has actually delivered. Our pioneering single-payer health system is the envy of not just the third world, but developed powerhouses like the USA, our universities are world-renowned and thanks to the HECS system widely accessible and Melbourne, Sydney, Perth and Adelaide are routinely voted in the top 10 most liveable cities in the world, the UN’s Human Development Index ranks our standard of living as the second best in the world and of G20 nations we have the highest GDP per capita. Successful government planning and intervention have paved the way for 24 years of uninterrupted economic growth and we were the only developed economy to escape the Global Financial Crisis. Through all of this, we have maintained one of the most vibrant and successful immigration programs the world has ever seen. Moving from policy to process as well, our political institutions function with remarkable effectiveness. Our High Court, though based in principle on the US Supreme Court, is mired in none of the same muddy partisan waters and acts as an effective, impartial check on executive power. 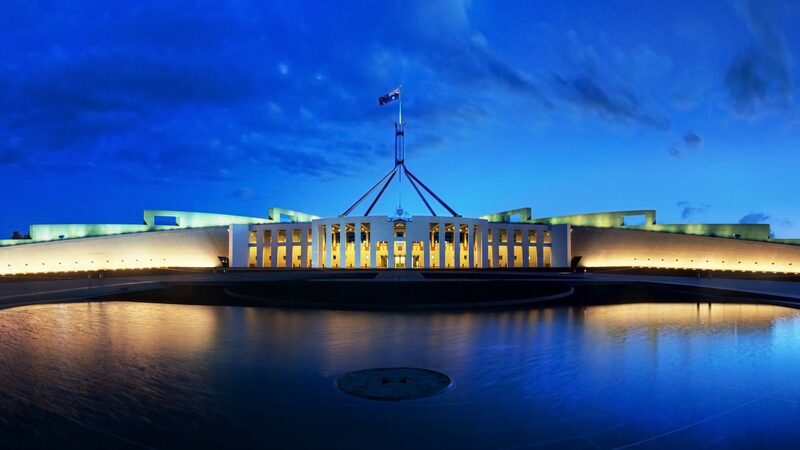 Our Parliament is transparent and parliamentary sessions open to any member of the public to attend, and our elections, overseen by the world-leading Australian Electoral Commission, are some of the freest and fairest in the world. Our preferential parliamentary system eliminates the worst demagogic aspects of a presidential process, and, despite the duopoly of Fairfax and News Limited, we have a raft of high-quality journalists – Laura Tingle, Chris Uhlmann, Peter Van Onselen, Lenore Taylor, Phil Coorey, James Massola, Sarah Ferguson and Leigh Sales to name just a few. Such misplaced feelings of disillusionment in our system are not isolated to my politics lecture room. According to the Edelman Trust Barometer, in the 2016-2017 period that saw the dual chaos of Trump and Brexit in the US and UK and relative stability in Australia, Australian trust in our institutions fell 8% to 37%, while British trust remained stable at 37%, and American trust rose 8% to 47%. Astoundingly, during the 2007-2012 period, when the Australian government’s successful fiscal and monetary maneuvering saw us avoid the Global Financial Crisis, confidence in government actually fell. By 2012 the French, Swiss, Germans, British, and Americans had more trust in the institutions that had thrown them into recession than Australians had in the institutions that had saved them from one. Political scientists often talk of a ‘democratic deficit’ – the gap between what citizens expect of democracy versus what it actually delivers. The key to restoring trust is bridging this gap. But how do you restore a gap that exists almost solely in the imagination of your citizens? How do you restore trust if you’ve done nothing tangible to lose it in the first place? Or to put it more enigmatically – how do you bridge a democratic deficit if there is a deficit between that deficit and reality? Perhaps this deficit reveals a perfectionist streak in the national character, a well-intentioned refusal to sit back and rest on our laurels. It’s true that our democracy is imperfect – the quality of recent prime ministerial leadership has been far from inspiring and the calibre of public discourse has undoubtedly devolved. But it is crucial that any conversation we have about grievances in modern Australia is prefaced with an acknowledgment of all the good that our polity has created. Because, as admirable as the drive towards the highest possible standard of self-perfection may be, blind dissatisfaction in the face of privilege and luxury always smacks of entitlement and arrogance. A very well written and argued presentation by Dan. Only one slip up when Dan shows a left bias blindside in recognising only left wing journalists as being of high quality – not a single right wing journo gets a mention and Dan there are many of these too. The best perhaps attempt to show some balance is by naming Van Onselen who writes for News Ltd but he clearly leans left which is a credit to News in that they have several left leaners on the payroll – more than can be said for Fairfax or ABC who have not a single one. Possibly Dan you read/listen only to FF/ABC so have not been exposed to the several high quality journalists with News, et al, who certainly lean right but equally exhibit high quality in their analysis and writing ability – skills which can stand quite independent of political lean.